The modified deep-V hulls have been designed to cut through heavy seas with confidence and comfort. Beyond their superior handling characteristics, Reliant hulls are designed with substantial chines to provide enhanced stability in a seaway. When cruising the hull trim is noticeably more level than other performance boats where vision over the bow is impaired at speed. 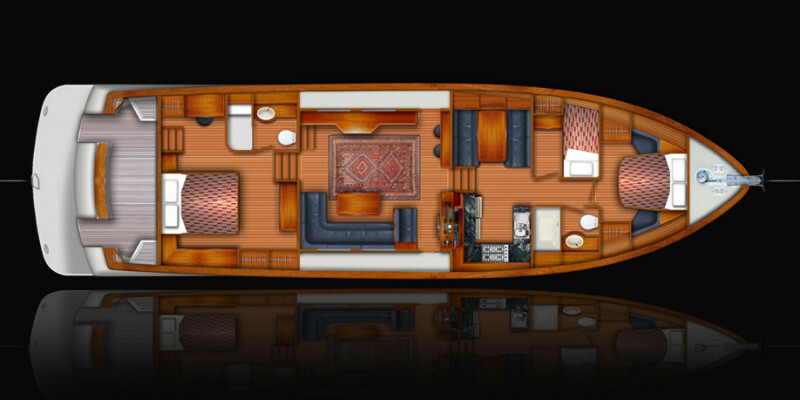 Beautifully proportioned and expertly crafted, Reliant Yacht’s Motor Yachts have a special appeal to the discerning yachtsman who demands performance, has an eye for classic aesthetics and appreciates the straight forward functionality of deck and arrangement plans that only come with decades of yachting experience. 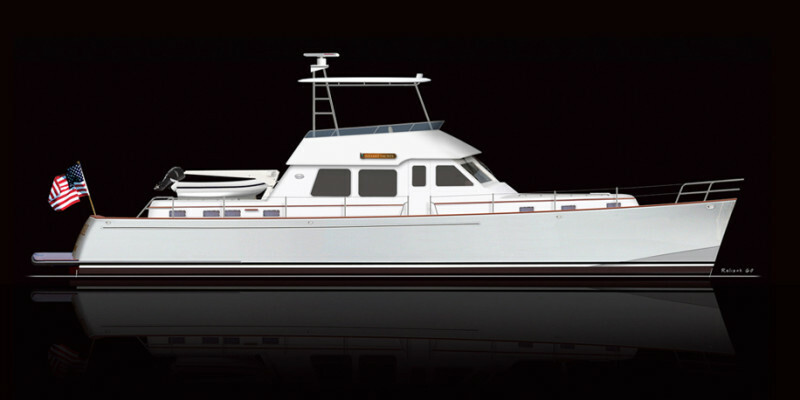 The cold molding hull construction process of laminating several layers of epoxy saturated mahogany with exterior polyester painted laminate, provides an exceptionally strong solid hull that is not subject to water infiltration that cored hulls may experience. Additionally, the cold molding process provides a hull with enhanced thermal and acoustic insulation. Beyond the superior performance at sea, Reliant power yachts stand apart from others. 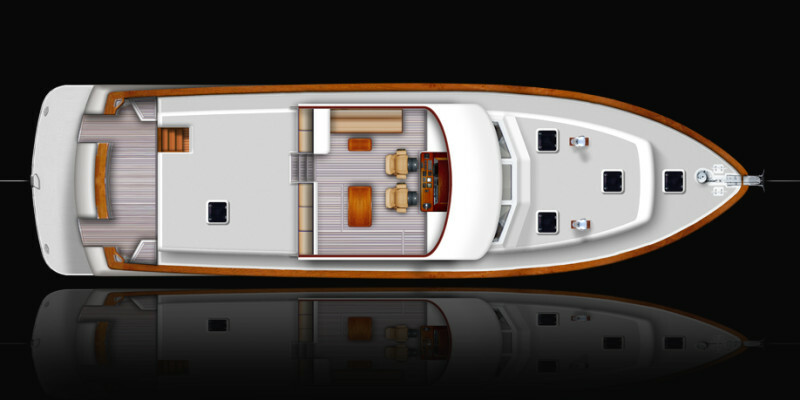 Meticulous craftsmanship and finishing, high quality mechanical and electrical specification and our ability to customize each vessel to suit each owner. Because these are fully custom yachts, other sizes are also available. We would be pleased to develop a custom design to suit your requirements.